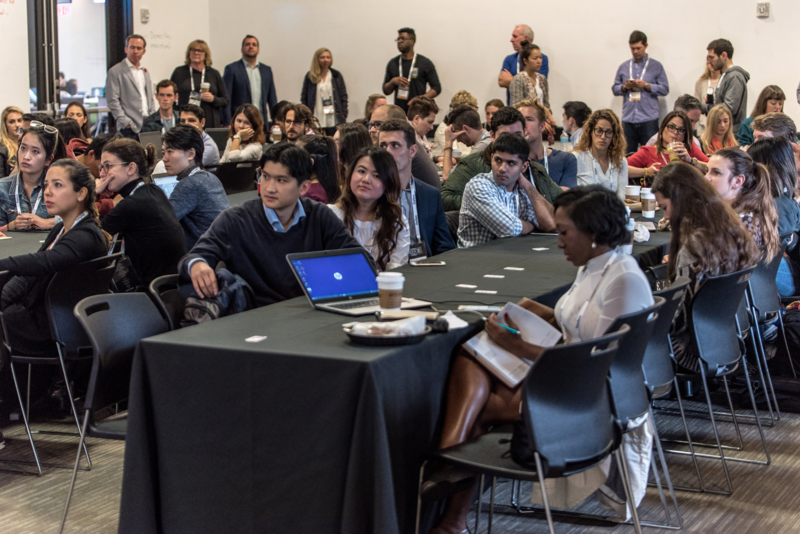 In October, the city of Boston hosted the annual Forbes Under 30 Summit, a get-together for young entrepreneurs and changemakers all over the world to gather, connect, and share their ideas. At its core, entrepreneurship is about financial empowerment. But making money wasn't the only goal at the Under 30 Summit. In collaboration with HP and Major League Hacking, the Summit capped off with a Hack-a-thon for Good -- a day dedicated to using the Under 30 recipients' collective genius to come up with actionable solutions to real problems that affect areas that, like Boston, are dealing with the effects of rapid urbanization. "Cities are more than a place to live and work; they're a concentration of people, capital, ideas, art," explains Jascha Franklin-Hodge, Boston's Chief Information Officer. "But with this promise comes great challenges." It's undeniable: the rapid urbanization that the Boston area is undergoing has presented a host of obstacles, ranging from ensuring equal educational opportunities for all students to helping small businesses keep up with spikes in rent. And many of these issues -- such as access to quality healthcare and implementing an efficient infrastructure -- are true not only in the Boston area, but on the global stage as well. Thus, the Hack-a-thon's goal was to bring together the brightest young minds to come up with tech-oriented solutions to these problems -- to use their entrepreneurial acumen to give back to the city of Boston and provide creative solutions that can be applied to urban areas all over the world. Here's just a few of the solutions they came up with. These ideas were presented to the executives from HP -- such as Nate Hurst, HP's Chief Sustainability and Social Impact Officer, and Giulia Pastorella, Government Relations Manager of the UK/Italy/Nordics -- in the hope that HP will continue the conversation on civic improvement through technology. A multi-use content series to encourage women in STEM fields. Only 20% of engineering students are female. Thus, the Hack-a-thon participants propose a content series that highlights STEM (Science, Technology, Engineering, and Mathematics) fields and key female role models within each. This multi-use series would take place in classrooms, after-school programs, and summer camps to help encourage girls to get involved in these typically male-dominated arenas. The "Boston Works" program to stimulate small business growth. With overcrowding, spiking rent prices, and competition from giant conglomerates, it's hard for small business to break into the scene. As such, the participants propose a digital platform -- called "Boston Works" -- that would connect small business owners with others in the area that have been successful. The platform would also include technology to help small business with marketing, emails, and accounting, among others. An AI chat bot to answer patients' medical questions. How many of us have felt a little sick, read about our symptoms of the internet, and left convinced that we have six weeks to live? To improve access to reliable medical information, the participants suggest a medical chat bot -- think Siri, but with a lot more medical knowledge. For instance, this bot would remind patients of appointments and answer questions about prescriptions and pricing. They could even implement a prosody detection system that could shed insight on patients' emotional well-being, so as to detect early signs of mental illness, such as depression. These solutions are only a few of many, which included incentives to encourage bike use and the implementation "health trucks" (think food trucks that give flu shots and other medical information), among others. "Creativity, an innovative mindset and a desire to help everyone, everywhere are key qualities for entrepreneurs looking to implement positive social change - and we had a front row seat to that in Boston," said Nate Hurst, who mentored various teams throughout the day. 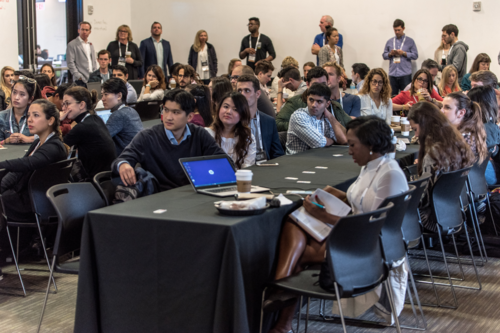 As the Hack-a-thon shows, entrepreneurship is about much more than just making money. Indeed, entrepreneurship has the potential not only to gain personal wealth, but to provide creative solutions the most pressing issues that affect our cities -- and, ultimately, to make the world a better place.